Microsoft: Kinect Is Like Super Mario Bros. The Wii no doubt inspired Microsoft to develop Kinect, and Nintendo's most popular videogame series has also inspired Kinect's games. Nintendo has had a bit of success over the past few years with the Wii, so it's not surprising that both Sony and Microsoft are now trying to mimic the house of Mario to earn bigger profits for themselves. Microsoft Kinect creative director Kudo Tsunoda has even gone so far as to compare Kinect's games directly to Super Mario Bros..
Talking to Videogamer, the often sunglasses-adorned Tsunoda said: "If you think about a game like Mario Bros., would you say Mario Bros. is a core or casual game? 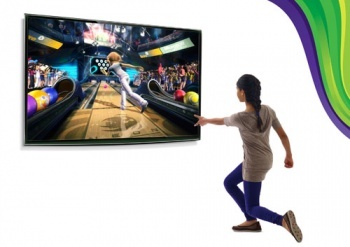 That's exactly what we're doing with the Kinect products." Though Kinect's current lineup seems to appeal purely to the casual crowd, Tsunoda would have us believe that games such as Kinect Adventures have both casual and core appeal. "If you look at River Rush, from Kinect Adventures, that in a lot of ways is like a platformer game," he said. "It's all the same things you see in platformer games. The way you summed up how you would feel about Mario Bros. is exactly the way we look at the Kinect games. There's the core gaming depth and skills, and the casual approachability that lets you get into it and play it right away." "If you say core, it really doesn't mean it's an action game where you're shooting people. And that's what it is. If I came to you today and I was like, hey, we're going unveil this new game: it's a plumber, and you're going to be going through pipes, and you're going to be jumping on turtles, you'd be asking the exact same questions that you're asking about the Kinect experiences." Unfortunately, most of us haven't been able to play Kinect yet, so Tsunoda could be right about Kinect's games. However, Nintendo has perfected the dual appeal formula that we see in games like New Super Mario Bros. Wii over decades. For Microsoft to replicate it with Kinect, they have to have come up with some really great stuff.